Brazil manufactured a record number of automobiles last year, 2.61 million, up 3.1% over 2005, according to a release Wednesday in São Paulo from the Association of Automobile manufacturers, Anfavea. However December's production of 185.330 units was 16.5% below November but 10% above December 2005 which had an overall negative impact over the original 4% estimate growth for 2006. Brazilian automobile exports reached US$ 12.1 billion in 2006, 8.4% above 2005. The number includes passenger vehicles, farm equipment, engines and components, which was also a record for the sector. But taking into consideration the number of vehicles, 884.700 units, this represents a 5.8% drop compared to 2005. Anfavea claims that among the motives limiting overseas sales the strengthening of the Brazilian currency, Real, must be taken into account. Domestic sales totaled 1.928 million units in 2006, up 12.5% over 2005. Anfavea estimates that automobile sales in Brazil this year could increase 7.7%, with total production advancing 3.8%. Export volume is forecasted to remain stable. Those that don’t appreciate Brazil are welcome to try their luck elsewhere. We’re saying or atleast I am saying that if Brazilians stopped being so negative about their country and its socioeconomic performances it might actually help jump start a change in the right direction such as putting the economy on a higher gear. Would you prefer a decline in industries or GDP? Of course not. Be happy that these are growing instead of shrinking even if it isnt at a blazing speed. Russia, India and China are experiencing such high rates of growth for a reason and that’s because their attitude to the economy has changed eg. Russia and China both decided to switch to free market economies rather than socialistic. And so what if Brazil doesnt export a lot of cars? All countries need to start from somewhere. You cant expect Brazil to start exporting millions of cars in a short period of time. Even China which produces so many cars barely exports any. – Brazil manufactured a record number of automobiles last year, 2.61 million, up 3.1% over 2005 !!!!! iF YOU BELIEVE THAT ONE ENVY BRAZIL….WITH A 3,1 % INCREASE IN THE CARS PRODUCTION…..YOU ARE JUST DEAD WRONG ! Here too, just find out by yourselves, the increase in cars production and sales by the other developing countries. No doubt, that your 3,1 % is the worst of all !!!!! Are you not a BRIC member ? In my view the B letter should be taken out since Brazil penalizes the other 3 countries for the average, since they have a growth rate of 3 times MINIMUM … greater than Brazil ! But you may as well compare with the other developing nations not in BRIC. Same resaults…you lag them all ! Again be proud…to remain at the bottom of the bottom !!!!! but then if it is so positive, why Brazil grew 2,7 % in 2006 and 2,3 % in 2005 ?????? The worst growth rate of ALL the developing countries….on this planet ! Many developing countries, around yours and elsewhere, grew 3 times as much !!!!! Some even 4 times ! Yesssssss……be proud of your failures, because at the end it is not by how much you grew but by how much you grew against your peers !!!! And sorry…but you are at the queue of the queue…. AS USUAL !!!!! – 100 % of your cars…..are from foreign companies ! Not one is Brazilian…to my knowledge. – 100 % of the investments…were made by these foreign companies….not by you ! – 100 % of the R%D and technology used to build these cars…is also foreign ! 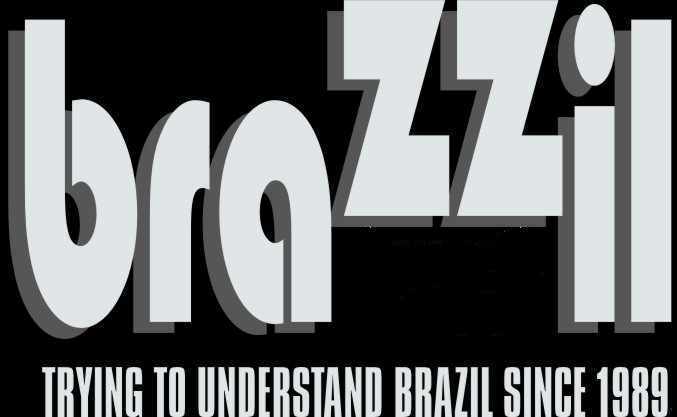 Not Brazilian ! But continue enjoying importing the BMWs, Mercedes and the luxuriours cars that you dont produce at all ! Afterall your import taxes of around 100 % on those cars is helping….your federal budget !!!!! I have been visiting this website for almost a year now and I have to agree that when really good news for the economy of Brazil are posted nobody comments but you will find a flood of posts for negative ones or negative posts for discussions about various social situations in Brazil. Brazilians are obsessed with bashing their own country and comparing it with the US. Why nobody comment when something is positive? envy?